Fan-favorite cover artist NEN proudly displays her fantastic and unique vision of the Princess of Mars in its complete intricate detail on this super-rare Virgin Art variant edition! 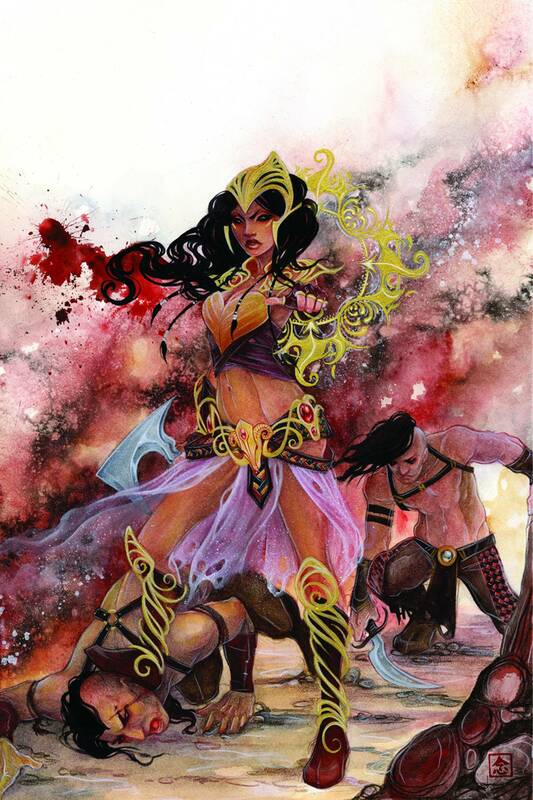 In this issue, Dejah Thoris turns to the Army of Barsoom after her exile from the kingdom of Helium. Will she be able to survive long enough to solve the mystery of her father's disappearance? Plus: John Carter explores the conspiracy at home in Helium! Frank J. Barbiere and Francesco Manna continue an all-new story with Dejah as you've never seen her before!